Nigerian Biography: Biography of Uche Eze; Blogger. Biography of Uche Eze; Blogger. Uchenna Jennifer Eze popularly known as Uche Eze is the Founder and Managing Director of BainStone Limited (Founded 2009) and BellaNaija.com (founded 2006)-a pioneer online media industry in Nigeria. She was born in 1983. Uche Eze’s early education actually started in Nigeria before she moved to Canada. She graduated in the year 2006 with a Bachelors degree in Business Administration from Richard Ivey School of Business, University of Western Ontario, Canada. 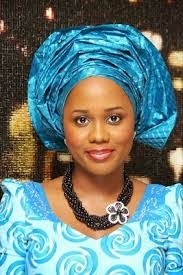 She got married to Bode Pedro, son of the former deputy Governor of Lagos State. on Saturday June 16, 2012 and she was blessed with a set of twins on April 9,2015. Uche Eze started BellaNaija as a time-filling hobby in the same year she graduated, while in Canada and shortly before she resumed her first ever post-graduation job with Shell. The blog was just to occupy her boring moments. However, prior to starting the blog, Uche Eze was a big time lover of fashion, consequently, she made fashion the initial subject of her blog. Uche Eze afterwards, lived in London UK for a year and then moved to Nigeria. In the year 2008, PUNCH rated Uche Eze the No., 22nd person amongst 100 people that shaped the year 2008. In 2010, she was nominated for Future Award for “The Best Use of Technology”. Also in the same year, She was awarded the Outstanding Contribution to Fashion Communication Award, during the African Fashion Week held in South Africa. Oprah Winfrey featured Uche Eze in a popular show, “Beauty Around the World” in February, 2010, together with Jessica Simpson and Lisa Ling where they discussed beauty trends in their respective localities. Uche eze had her work experience at Shell Canada, Cadbury Middle East & Africa Unit based in the UK, and Cadbury Nigeria. Uche Eze’s BellaNaija.com, a website that is aimed at developing and managing, innovative and exciting online media content, generates over one million viewership on monthly basis. The website has won several awards including the Outstanding Contribution to Fashion Communication Award in 2010. The founder of BellaNaija, Uche Eze is a Fellow of TEDAfrica. She was selected as a Nigeria Leadership Initiative – NLI Associate. BellaNaija.com is a pioneer online media industry that focuses mainly on news and entertainment, founded in 2006 by the Nigerian Celebrity Blogger, Uche Eze. In the year 2008, PUNCH rated Uche Eze the No., 22nd person amongst 100 people that shaped the year 2008. In 2010, she was nominated for Future Award for “The Best Use of Technology”. Also in the same year, She was awarded the Outstanding Contribution to Fashion Communication Award, during the African Fashion Week held in South Africa. Oprah Winferey featured Uche Eze in a popular show, “Beauty Around the World” in February, 2010, together with Jessica Simpson and Lisa Ling where they discussed beauty trends in their respective localities. Thank you so much of your executive biography and really good articles in this website.